So today I got my grubby little hands on pretty much brand new genuine Mazdaspeed seat out of an RX8 and I have been searching all over the internet (well at least to my limits of searching) and I cannot find the type of seat I have, original price and whether or not I can purchase seat rails that will fit the seat in my FD. There is nothing on the mazda site, I cannot find anything via google and www.mazdaspeed.co.jp does not work. I have read the "how to put RX8 seats in a an FD" thread and it has helped to a degree but these rails are different to the ones shown as I can unbolt the RX8 mounts and they are made from much thicker steel than the stock rails. I am guessing I should be able to just bolt on some mounts to suit my FD. Can anyone help find out what these are are if I can get mounts for my FD to suit the rails that are on the seat?? These look alot lot like the Sport Seats that I had in my FC and if they are indeed the same type of set then the bottom should have like 4 bolts underneath to bolt up to the rails. This being said if so then I might still have the rails that came on those seats...I gotta look but pm me so I can respond to you if I do or don't. Hey thanks for your reply! Your seats do look very similar in design, mine are very thin both top and bottom whereas yours look to be "chunky" in comparison but that could just be the angle the shot was taken. My rails have 2 bolts at each end of the rails on both sides (total of 8), hence why I am thinking I must be able to buy brackets of some description but I have no clue as to where to start. I am happy to fabricate but I was thinking that if I can get factory mazdaspeed ones to suit my FD then I wont have to have it certified. 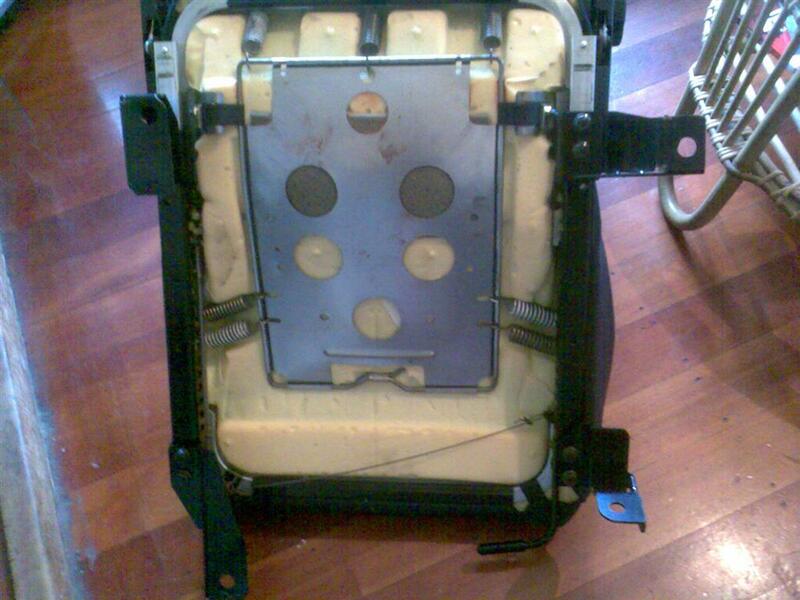 Here is a pic of the bottom of my seat. they look ebay knockoff, but if you say theyre genuine. 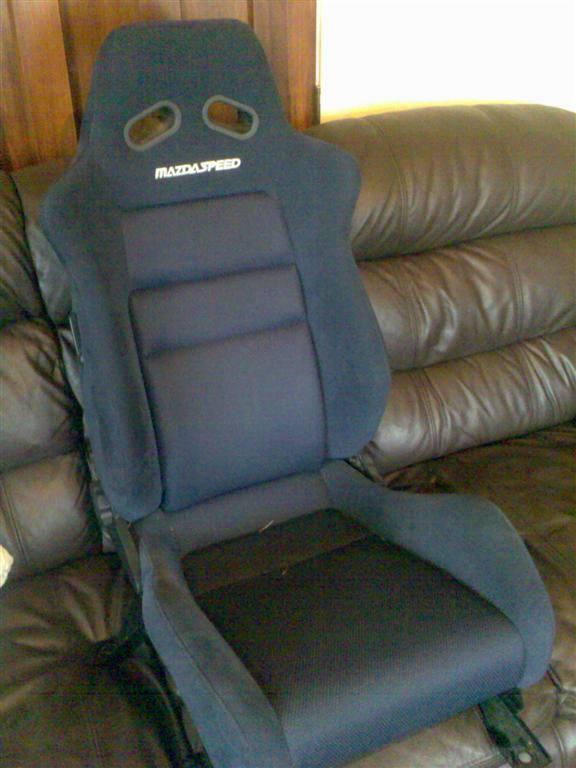 It's a Mazdaspeed Type-F seat. Thank for that, now I need to know where I can get another one from for my passengers side (US drivers side). I have tried to find the mazdaspeed site but I cant find anything!! They're not made any more. I have FC and Miata brackets for these. I'm keeping my FD ones, although at the moment I have no idea where they are. You mean they still make seat brackets for the RX-8? If so, let me know and I'll pick up a set. You won't find one in the US. There are not a lot of them around, in fact, this seat has probably been mentioned less than a dozen times on this site ever. Hard to tell from the fuzzy pic, but a real Type-F Mazdaspeed seat has that suede-like material that's similar to the R1 / R2 FD3S stock seats. The inserts on the pic look shiny and nylon-ish? Sorry, the only camera I have is on my phone and its gone all fuzzy for some reason. The seat material is the suede like the R1 FD seats and I managed to find an aftermarket rail that suits an FD and I fitted the rail to the seat with some modification this afternoon. I will have my car back sometime next week and will fit it once I have my interior back in. If anyone needs some FD rails I could maybe take orders and if there is interest I will put it up in the for sale section. My rail cost me $150 NZD. As for the RX8 mounts, I still have mine if you want them but I only have the drivers side . Pm me. 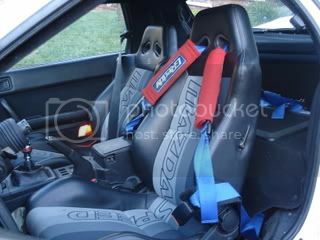 I know this is a super old thread and a huge long shot but I was wondering if anyone had a set of RX-8 seat brackets for the Mazdaspeed sports seats? Hopefully someone has a set they are either willing to sell or have duplicated! Lol i know your super old reply to this super old thread is a long shot but i have a set of RX8 brackets for one mazdaspeed seat i would sell you. Also if anyone has a passenger side FD set i would like to buy them.